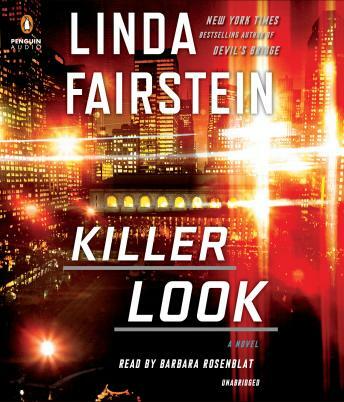 New York Times bestselling author Linda Fairstein delivers a heart-pounding thriller that explores the dark secrets of Manhattan's iconic fashion scene in her latest Alexandra Cooper novel. New York City is one of the fashion capitals of the world, well-known for its glamour and style. Nowhere is this more apparent than on the runway, where American haute couture continually astounds with its creativity, daring, and innovation in the name of beauty. Yet high fashion means high stakes, as Alex Cooper quickly discovers when businessman and designer Wolf Savage is found dead in an apparent suicide, mere days before the biggest show of his career. When the man's daughter insists Savage’s death was murder, the case becomes more than a media sensation: It is a race to find a killer in a world created entirely out of fantasy and illusion. With her own job at the DA's office in jeopardy, and the temptation to self-medicate her PTSD with alcohol almost too strong to resist, Alex is not anyone's first choice for help. But she is determined to uncover the grime—and the possible homicide—beneath the glitz. Along with detectives Mike Chapman and Mercer Wallace, Alex must penetrate the twisted roots and mixed motives among the high-profile players in the Garment District. The investigation takes the trio from the missing money in Wolf Savage's international fashion house to his own recovery from addiction; from the role of Louisiana Voodoo in his life to his excessive womanizing; and to the family secrets he kept so well-hidden, even from those closest to him—just as things are about to get deadly on the catwalk.